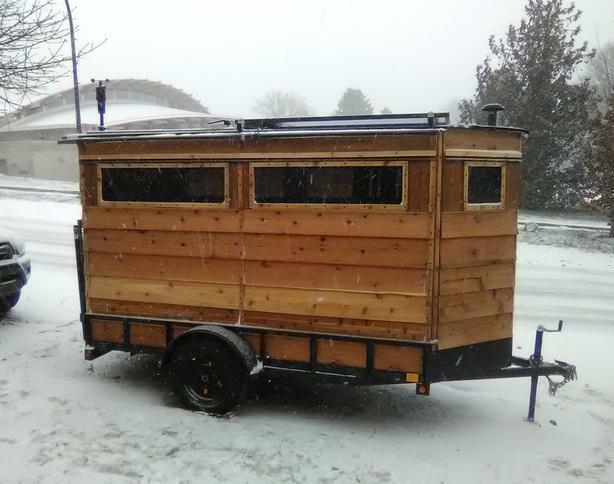 Hand built off-grid cedar trailer, great for a camper trailer, cabin in the woods, tiny home, portable office, studio space, food truck, and more! It can sleep up to two adults and two small children with an optional sleeping loft. The back gate folds down to create an extra outdoor deck. Heated with a cozy wood stove. Please see specs below for more information. Please feel free to contact us with any questions or to arrange a viewing, we look forward to hearing from you!